This is it. At least, in one of my leagues it is. There are clusters in every fantasy league trying their best to get into the playoffs. Whether it be a three-way tie for sixth or one game back and relying on losses and a win, there is really nothing like the closeness of Week 13 in the fantasy regular season. Anyway, let’s get to it. Everybody is talking about Carlos Hyde now that Leonard Fournette dumbly got himself suspended. Hyde was a tremendous option earlier in the year before he was traded to the Jacksonville Jaguars and found himself as the third-string option behind Fournette and T.J. Yeldon. Hyde is a downfield, powerful runner and excelled in this role with Cleveland and was a borderline RB1 with his early season performances. Unfortunately, Hyde finds himself going up against the surging Indianapolis Colts — but that is far from his biggest concern. Cody Kessler will be running the show for the Jags, which will certainly lead to stacked boxes. We’ve seen how stacked boxes have turned out for guys like LeSean McCoy this year, and I’m expecting something very similar for Hyde. If you’re banking on any of Jacksonville’s running backs, look to Yeldon, as short passes will likely be Kessler’s go-to as the game gets away from a surprisingly terrible 2018 Jaguars overall unit. Now, let’s look to the more positive side of things. Hyde is at the top of everyone’s waiver desires, but if DJ Moore is either on your bench or inexplicably on the waiver wire of your league, pick him up as soon as possible. Moore is now the No. 1 wide receiver on the Panthers, with Devin Funchess both injured and struggling to catch short passes. Moore is versatile, as he can put up eight receptions and 91-yard games like he did last week or do it with the deep ball like he did in Week 11 with seven receptions, 157 yards and a touchdown. Moore is also a gadget guy at times who has been used on end-arounds. Going against a truly exploitable Buccaneers defense, I am expecting the Panthers’ first-round pick to have a Top-15 day. Cam Newton has really established a connection with Moore and he could be the x-factor to get you into the fantasy playoffs. 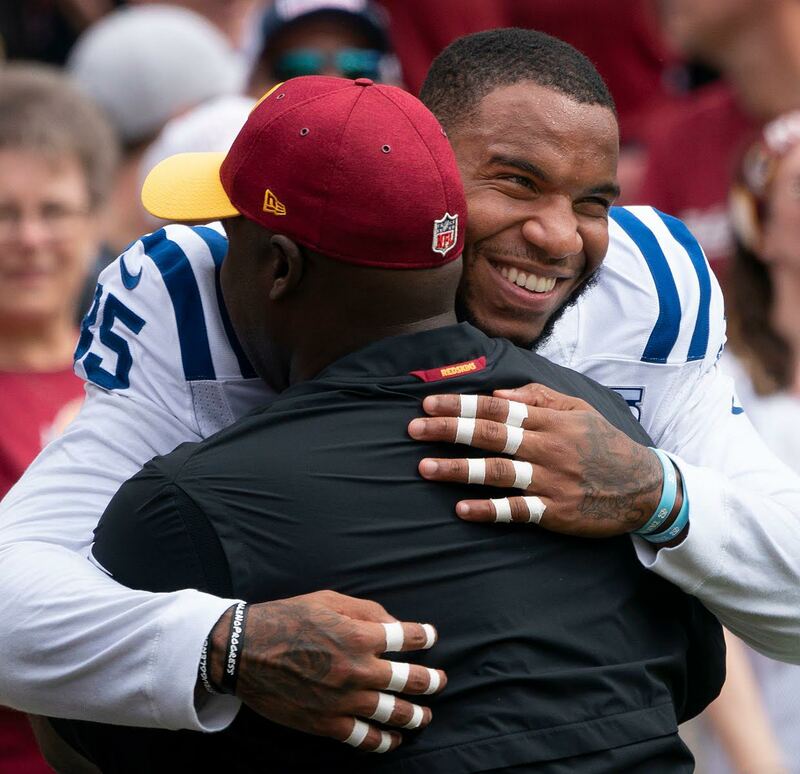 Now that Jack Doyle is out for the season, the touchdown machine Eric Ebron is a must-start in every single fantasy league. To put it another way, I have Rob Gronkowski and will likely start Ebron this week — even after Gronk scored against the New York Jets last week. The former Top-10 pick leads all tight ends with 11 touchdowns, having scored two last week. His connection with Andrew Luck is something that tight ends dream about. The Jags linebacker’s play has left much to be desired this season, and with Indianapolis streaking, look for Ebron to put up at least one touchdown Sunday. Going forward, Ebron is a Top-five tight end each week. Though he could put up a dud like he did two weeks ago, his red zone relevance has been incomparable this season.